Exactly what happened to Elizabeth Brackett on Wednesday morning that led to her death Sunday may never be known: there are no known witnesses, and it is unclear whether nearby security cameras captured the incident. The Cook County Medical Examiner’s office is scheduled to perform an exam Tuesday, as per protocol, given the lack of witnesses. But Brackett’s family believes the champion triathlete flipped over her bike’s handlebars and landed on her head while she was training on the lakefront path. According to the GPS data on her Garmin activity tracker, she ended up 10 feet from the bike path. Brackett’s daughter Ilsa Wallich said that information is consistent with damage to her mother’s helmet and bike – including mud on the bike’s brakes – and also with her mother’s competitive spirit. “I know how my mom rides: 30 to 40 miles per hour,” Wallich said. Brackett suffered from at least one broken vertebra, and, according to her Garmin activity tracker, her heart stopped. She was without oxygen for as long as nine minutes. And although Chicago Fire Department spokesman Larry Langford said paramedics did not see any sign of contusions, scrapes or bruising, Brackett did have an abrasion on her head, Wallich said. One avid cyclist who noticed Brackett as he was riding along the path near 39th Street said that she was on her side in the lawn, with her bike on top of her. He was part of a team effort to help. 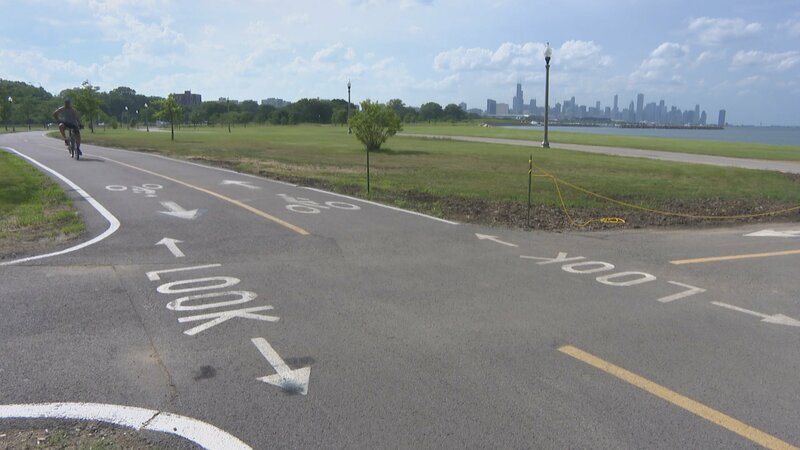 By all accounts, bystanders did what they were supposed to by calling 911, having someone guide police and paramedics to the site, asking others along the lakefront for help seeking someone with medical experience (in this case, a physical therapist cycling on the path was instrumental), and giving Brackett CPR. Note: An earlier version of this story incorrectly stated what day the medical exam would take place. It has been corrected.